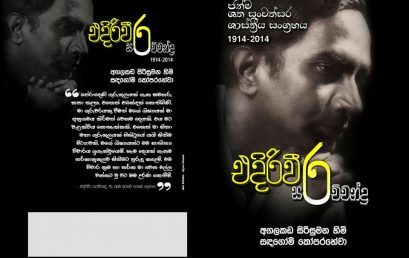 Book Launch – ආසම පාට දම් පාට – 28th Nov. 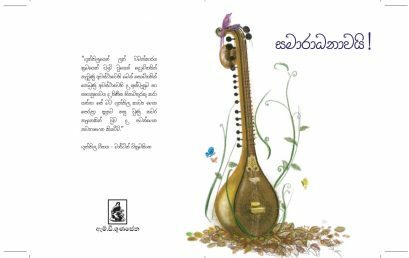 Launch of Ediriweera Sarachchandra Birth Century Volume – 20th Sept. 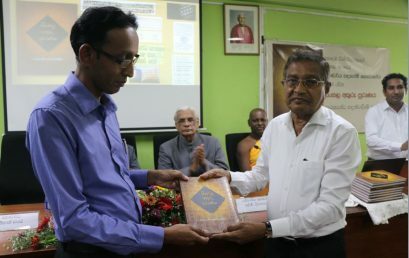 Launching of Ediriweera Sarachchandra Birth Century Volume edited by Prof Ven. 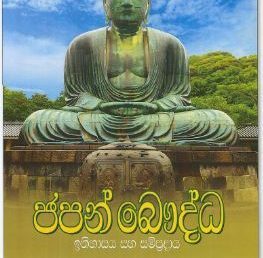 Agalakada Sirisumana and Prof. Sandagomi Coperahewa was held on 20th September 2018 at 10.00 am in the M. B. Ariyapala Auditorium, Department of Sinhala. 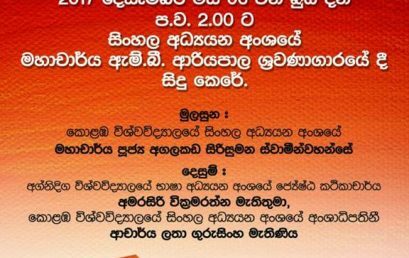 Emeritus Professor K.N.O. 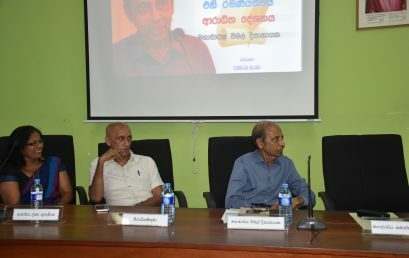 Dharmadhasa and Mr Gamini Sumanasekara delivered speeches and Ms. Lalitha Sarachchandra presided the event. 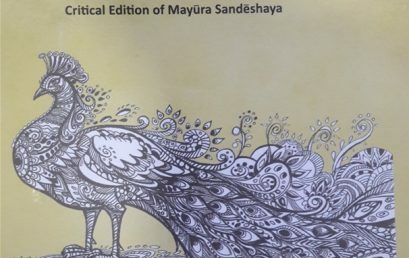 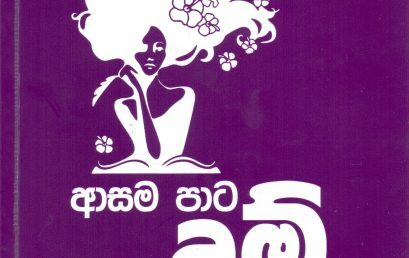 Book Launch by an undergraduate (ගී ප්‍රදීපාර්ථ) – 22nd Nov. 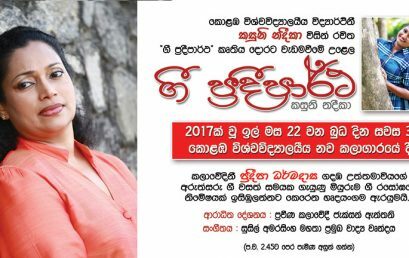 The Journalism Unit, Faculty of Arts organized a guest lecture on “සාහිත්යික සන්නිවේදනය හා එහි රමණීත්වය”, on 20th July 2017, at 8.30 am in the M. B. Ariyapala Auditorium – Department of Sinhala. 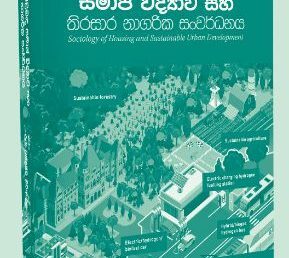 The lecture was delivered by Prof. Wimal Dissanayake (University of Hawaii).